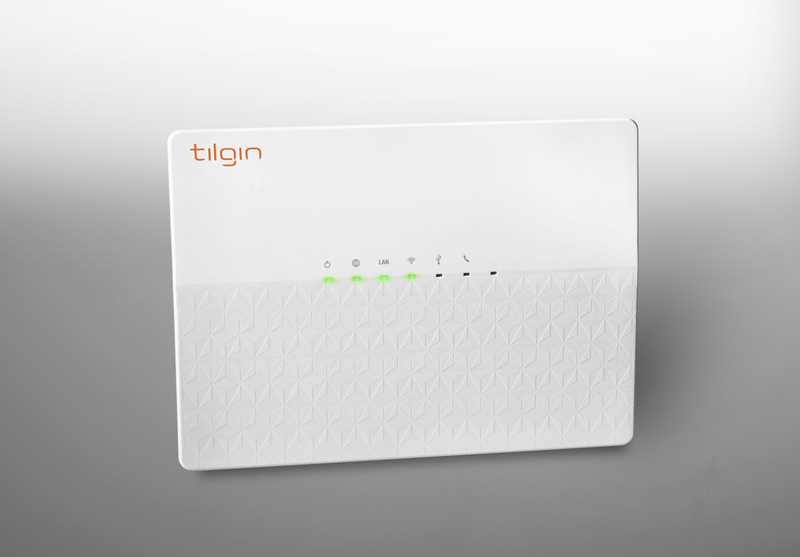 Tilgin's HG2380 generation of gateways has embraced the very latest WLAN technology by being configured with a 802.11ac compliant WLAN radio. The HG2380 family offers superior Wi-Fi performance with wireless routing beyond 600 Mbps in the home. The new radio is fully backwards compatible with the 802.11n standard at 5 GHz, meaning that most devices on the market today, such as smart phones, tablets and PCs immediately can start utilizing the new Wi-Fi interface. All HG2380 products has built in HW support for routing over the 5 GHz radio meaning that the built in CPU is available for other tasks. This is also very beneficial from a QoS point of view. For legacy devices that support 802.11n at 2.4 GHz only, there is no reason to worry as the product family is equipped with a Wi-Fi interface for these devices as well. Both radios can be used simultaneously in perfect harmony for all services in the home. The HG2380 product family is also the perfect fit for building Wi-Fi hotspots as it dramatically increases the ability to connect many clients and to give each and every client excellent connectivity independent of each other. Apart from having a very strong Wi-Fi solution, the HG2380 product family runs all the services offered by the Device Software from Seliro* and is prepared for all foreseeable future services. Tilgin continues to make the Home Gateway a part of the home decor; therefore we work with a well-recognized industrial designer to achieve industry leading designs. Tilgin’s HG2380 platform is powered by a multithreading CPU and dedicated HW entities for wired and wireless rouitng to achieve the highest possible quality for critical services and functions like Voice, Storage, etc.